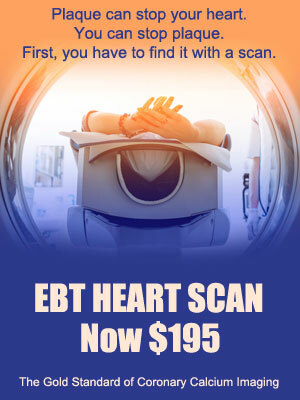 EBT Electron Beam Tomography » What is Involved with EBT? You will be asked to complete a conventional risk factor questionnaire with a brief description of your current health status and to sign a consent form. For most procedures, EKG electrodes are applied to the chest so as to electronically “freeze” cardiac activity. Studies are completed during one to two deep breaths as multiple images of the chest are obtained. There are no injections involved, no exercise requirements, no need to disrobe and no changes necessary in current medications.